Our school philosophy is to build an environment where students can dedicate themselves to study at ease. We understand that it makes him anxious to start to live in foreign countries. However, in Subaru Language School the polyglot teachers will support them and remove their anxiety on living in a foreign country. This course is designed to prepare you to go to the Universities in Japan. 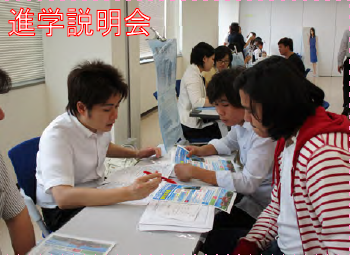 A curriculum corresponding to students’ needs is provided, not only Japanese study, but also Japanese cultural experience considering the period of study (from 1 week to 3 months) and your Japanese skill. Foreign residence (who has except student visa) can attend the class after qualification test for admission. Brief meeting for entering higher education after graduation is held. Various activities are held. 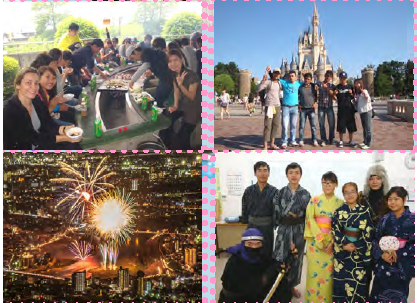 In spring viewing cherry blossom, BBQ, and school trip, in summer swimming in the sea, fire work, and experience of wearing Yukata, in fall sports festival and tea ceremony, in winter end-year party, making rice cake, and Japanese cards game, etc. Dormitory is provided at school. Students don’t have to waste time and money to get to school and it’s very convenient to get to supermarket, convenience store, bank, and post office by walk. The tuition and fees of SUBARU LANGUAGE SCHOOL, MOTOSU CAMPUS are as follows. Here is the estimated cost for one academic year at SUBARU LANGUAGE SCHOOL, MOTOSU CAMPUS. It is based on dormitory (Single room, 20,000 yen/month). The estimated cost will be changed depending on how you stay.